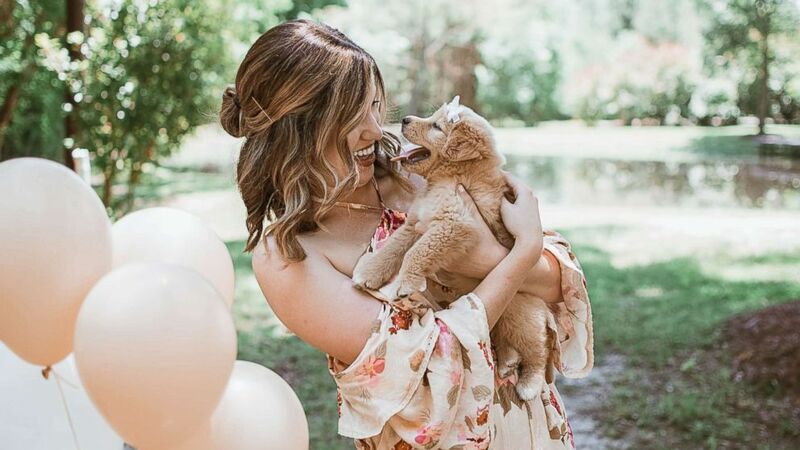 "She is so sweet and has loved everyone she has met so far,"
A woman lovingly introduced her fluffy pup in a gender-reveal-style photo shoot. Joy Stone, 25, and her 7-week-old golden retriever mix, Rey, were photographed by friend Carlye Allen after Rey had been rescued near a railroad track in Texas. 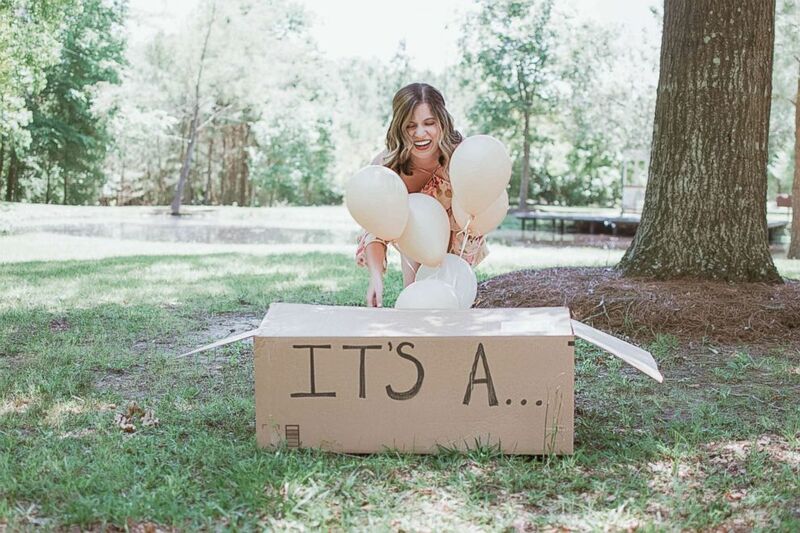 (Courtesy Carlye Allen) Joy Stone, 25, of Melissa, Texas, was photographed with her new dog in a baby-gender-reveal-style photo shoot. Stone later surprised her husband and their black Lab Kairi by bringing Rey home to join their family. 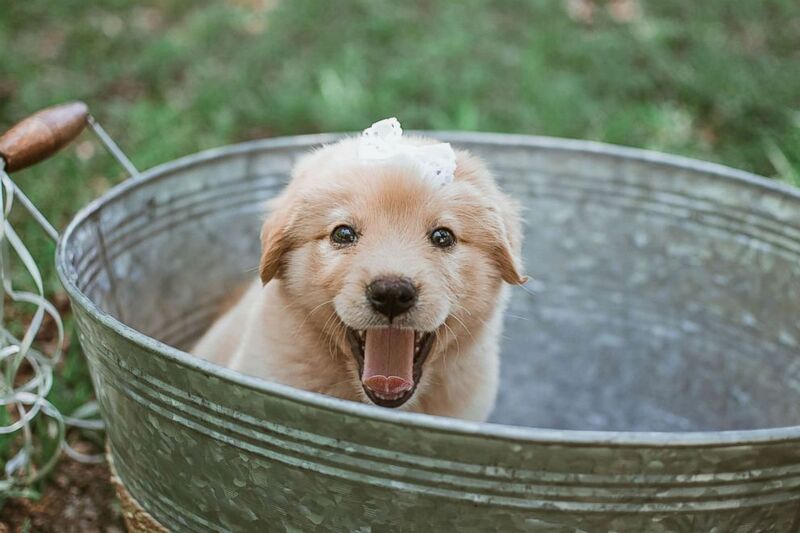 (Courtesy Carlye Allen) Joy Stone introduced her golden retriever mix in a photography session after the puppy was rescued near a railroad track. (Courtesy Carlye Allen) Joy Stone named the puppy Rey, after a "Star Wars" character and brought the dog home as a surprise to her husband. "She is so sweet and has loved everyone she has met so far," Stone told ABC News today. "She can also get extremely playful and absolutely loves running around and playing with Kairi." The images received lots of love on Facebook and both Stone and Allen hope they encourage future pet owners to adopt, not shop. (Courtesy Carlye Allen) Joy Stone, 25, of Melissa, Texas, was photographed with her new dog, who she named the Rey, in a gender-reveal-style photo shoot in May 2018. Allen said she's partnered with a local animal shelter and will be hosting "Doggie and Me" mini photography sessions in June. "The sessions will be donation-based, and all proceeds will benefit the animals within the shelter," Allen said.